Are you on Leptin Diet and too lazy to cook? This recipes book contains surprisingly simple Leptin Diet recipes you can prepare and cook on the same afternoon. The recipes follow the Leptin Diet guidance and they are designed so you can mix and match them according to your preference. Do not think that you have sacrificed your enjoyment of food by giving up meals. Chances are, there are meals you enjoyed eating and you get to stick to the Dash Diet plans. You can substitute them with a variety of appetizers, breakfast, lunches, dinners and desserts recipes. There are ample choices for those who want to stick strictly to Leptin Diet. This way, you will never get bored of eating the same meal over and over again. This reinforces your habit of sticking to the diet to a healthier you. 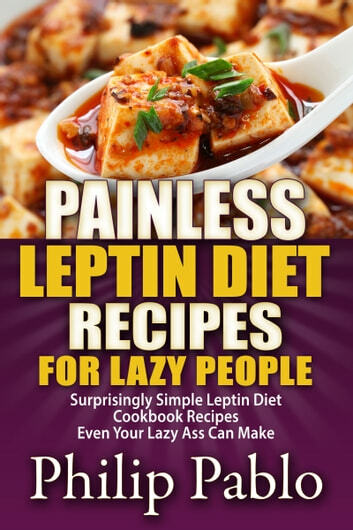 Buy this Leptin Diet cookbook today and your Leptin Diet will be surprisingly simple to do!